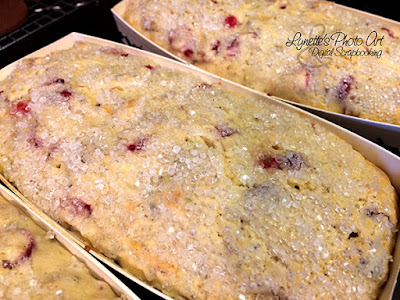 Cranberry Orange Pistachio Loaf - Mary's! 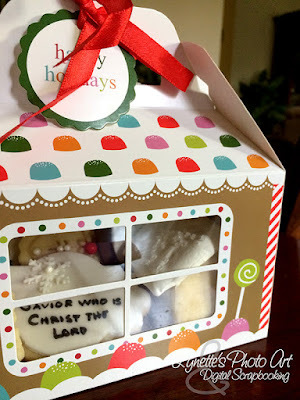 I can't say often enough how blessed I am to have found Mary's blog years ago. 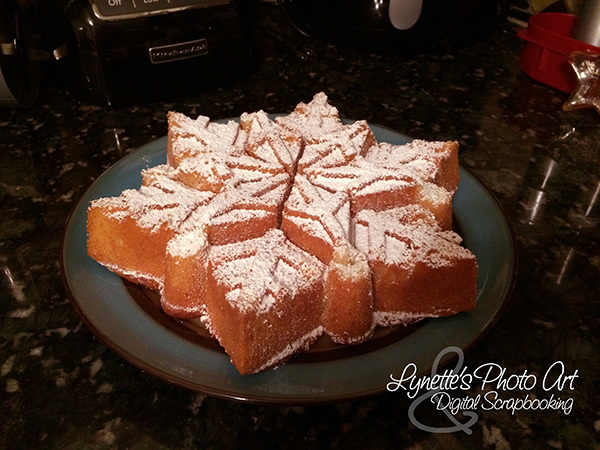 I have gotten so many wonderful recipes there and dared to try new things because of her easy to follow instructions. This one is so delicious that though we had a piece at lunch, I find myself still marveling at it at bedtime! It's not hard to make either. You can see her beautiful post here. This was my first time trying those paper loaf baking pans. They work great! Makes gift giving easy too. Two thumbs up for paper loaf pans and Home Goods for carrying them! It was also my first time making orange zest. I do lemon, but hadn't run across orange zest before this. I love making dark chocolate dipped candied orange peel, but this was my first orange zest. It is FANTASTIC and I'll be using a lot more of it. 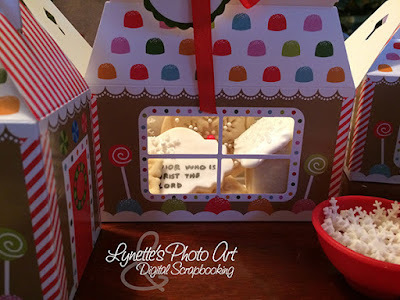 Oh how wonderful the house smelled while it was cooking and long afterward! 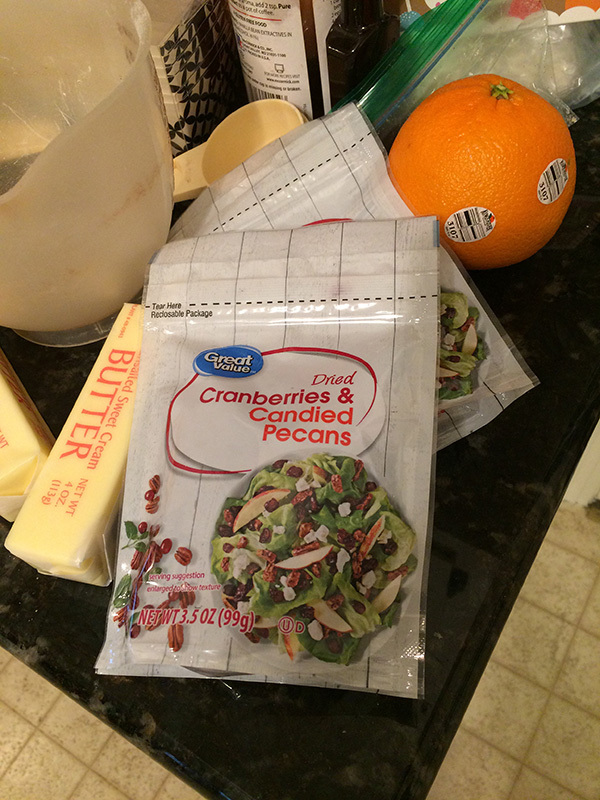 I made the first batch within hours of seeing her post, but I couldn't find pistachios or any cranberries except dried ones in the salad topping isle. The recipe calls for two cups of chopped cranberries and a cup of chopped pistachios. I bought three bags (1 cup each) of these salad toppings to equal those three cups. 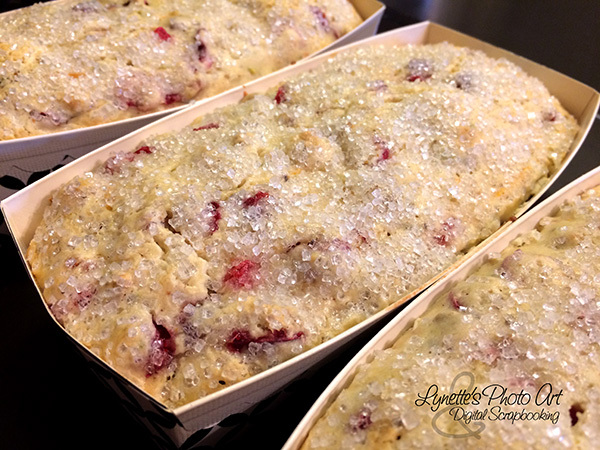 The dried cranberries didn't show as brightly red on the top of the loaves as hers did with the fresh cranberries, but when you cut it, they were beautiful. The candied pecans went perfectly! This bread was so luscious, crunchy crust and tender and moist inside...wonderful! I made a second batch a couple of days later. This time I was able to find the fresh cranberries and pistachios, so I made it by her recipe exactly. Well, I still used sanding sugar on top instead of regular sugar. It gives such a great sparkle! It was so much prettier with all the red everywhere and green pistachios, but every single person that had both said they preferred the first batch where I substituted the dried cranberries and candied pecans. Surprising. Isn't that gorgeous??? 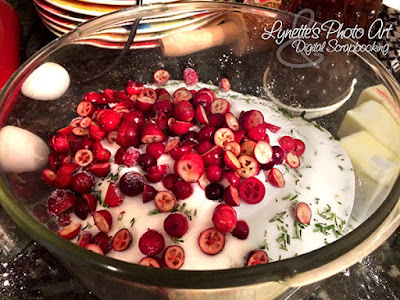 Fresh cranberries and fresh rosemary on a snowy bed of sugar! Maybe you'll try it too! Don't you just love giving your baked goodies away to brighten other's days and give God glory? Merry Christmas, God bless you and yours and thanks for stopping by! 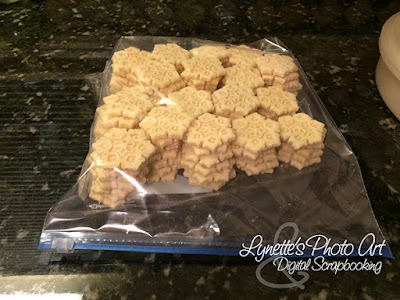 I finally found wonderful chocolate and vanilla/almond sugar cookie recipes that do not expand when cooked!!! 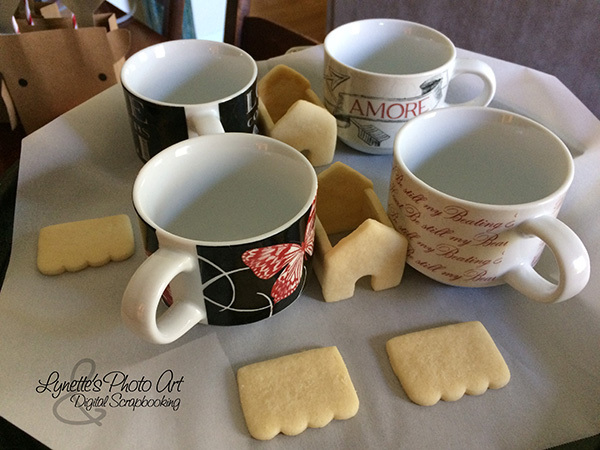 After years of frustration with my cutout and stamped cookies, finally SUCCESS and DELICIOUS results!!!! 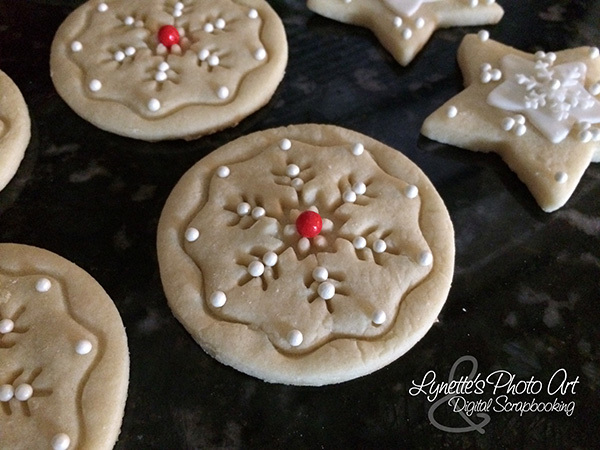 Here is the link to the sugar cookie recipe I used. The first post was using the vanilla/almond sugar cookie recipe to make mini cookie houses. 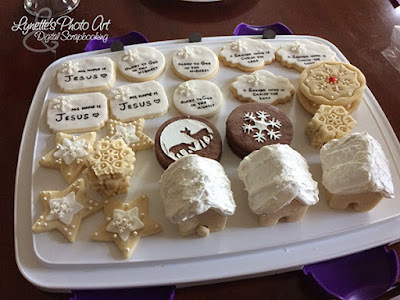 Yesterday's post was using the same recipe for cutout cookies decorated in marshmallow fondant and edible marker. 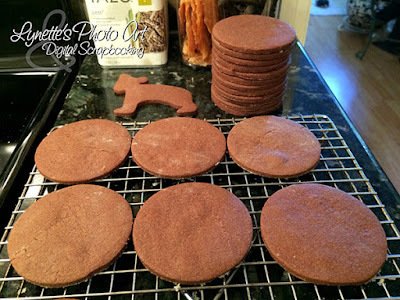 Today I'll show you what I made with the delicious chocolate recipe that is so perfect for cutout and stamped cookies! This Christmas baking was the first time I had the large Wilton fondant rolling pin and rings for my rolling pin that make it so the thickness is consistent. Having that long a rolling pin was AWESOME and, why didn't we ALWAYS have these rings??? 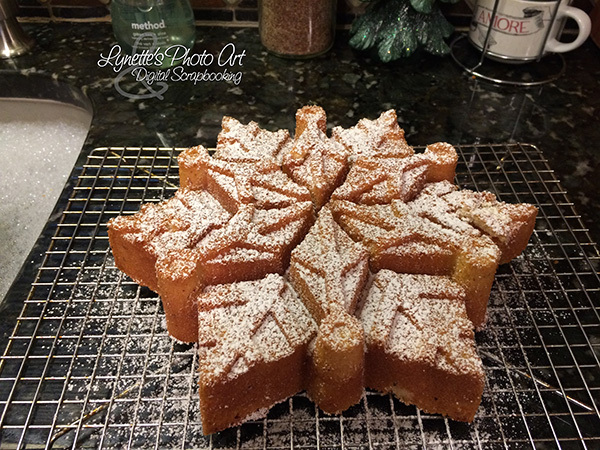 It made an incredible difference in consistency and baking results. Look at this perfect stack of cookies!! I know the rolling pin is pricey, but I used a 40% off coupon at Michael's for both the pin and later the rings. Makes it just fine! The lone bear is a stand in for our "Judahbear", my first granchild. It's my first Christmas as a grandma!!! It's wonderful even with them out of state. Thank You Jesus! This was my first attempt at stenciling. 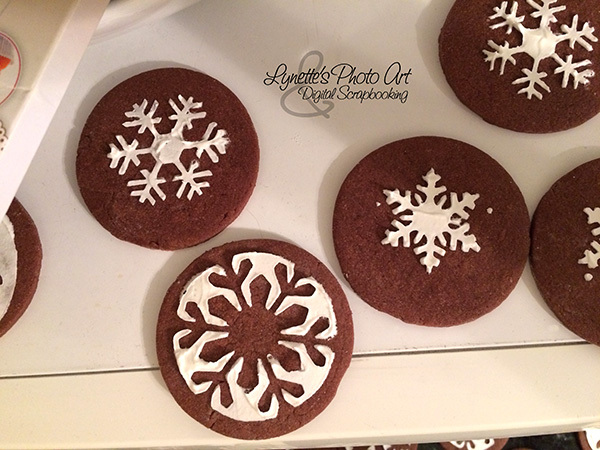 I made royal icing to stencil with onto my chocolate cookies. I don't think I ever found the exact right consistency for stenciling, but they still turned out pretty, if you don't look too close. I used a small fondant tool to clean up areas where they needed it. It was a pretty messy deal. 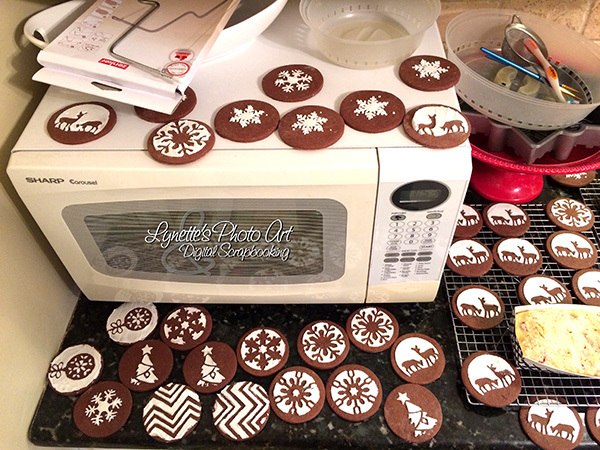 I found that I had to wash and dry my stencils every 2-3 cookies to have a chance at a sharp image. But oh my goodness - they are DELICIOUS!!!! 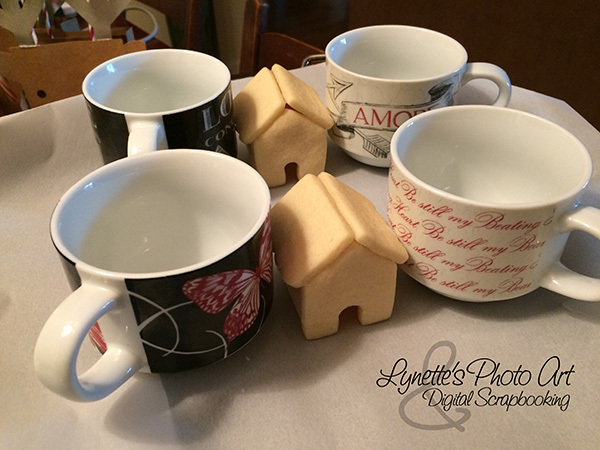 I had some templates that were the right size for cupcakes and cookies, but I also had a set that was for cake tops. I positioned them so that I could use parts of the stencil for a cookie. It's going to take a bit of practice before I get good at this! But it sure was fun finally getting to try it! I like the 3D of the design. 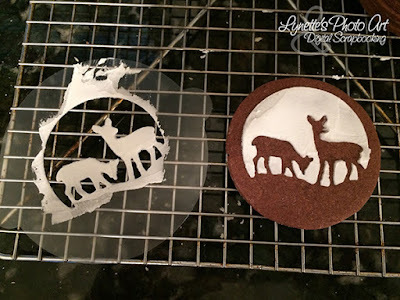 It's so exciting to finally have both recipes that will allow me to make perfect cutout and stamped cookies in both white and brown with no more failure! And they both taste marvelous too. I hope you try these two recipes if you haven't yet found the right ones. You won't be disappointed! Merry Christmas, God bless you and yours and thanks for stopping by! This is part 2 following yesterday's post. I had to break it up into three parts so it wouldn't be too long. 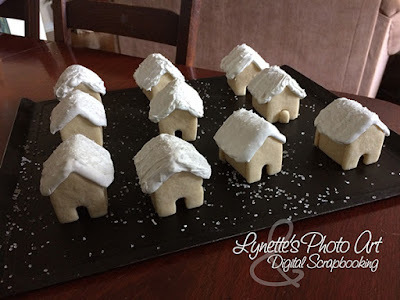 Yesterday's post was using this recipe to make mini cookie houses. 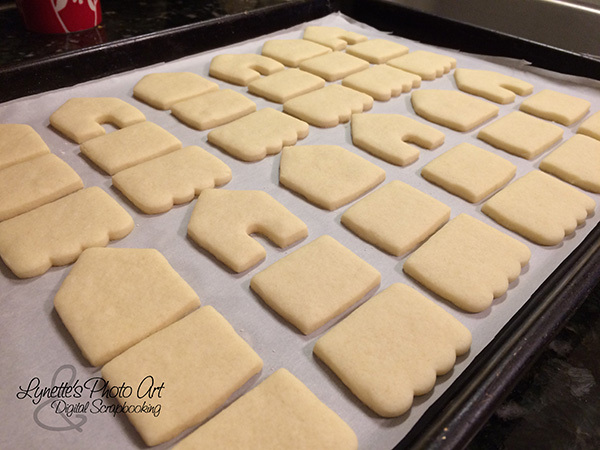 Today I'll show you what else I made with this delicious recipe that is so perfect for cutout and stamped cookies! I topped some of the cookies with a thin layer of homemade marshmallow fondant. I wrote messages on them with food grade edible marker from Americolor. I topped them with snowflakes I made from the fondant too and various sprinkles that I attached with invisible edible glue I'd made for working with fondant and gumpaste. They were awfully delicate, even when dry. A better plan would be to use gumpaste. It dries faster and to a HARD result. I had some left over gumpaste. I don't know why I didn't just use it! What a wonderful recipe! Delicious AND it doesn't expand and ruin your cookies! I have to say a word about Tupperware. These cookies are sitting on top the same Tupperware container I got when I briefly sold Tupperware in 1979! 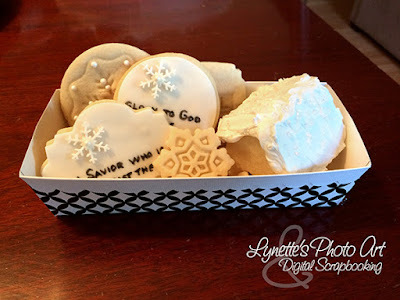 It's still perfect and has always been our family cookie storage container. It is a very happy Christmas memory for all of us. My youngest told me this year she needs one of these too, now that she's a Mother, to make memories for her little darling. It warms me with the memories, but also saddens me that America has so made money it's god, that everything today is deliberately made to fail and need replaced in a brief period of time. There will be no such good memories for those going forward, as nothing lasts. 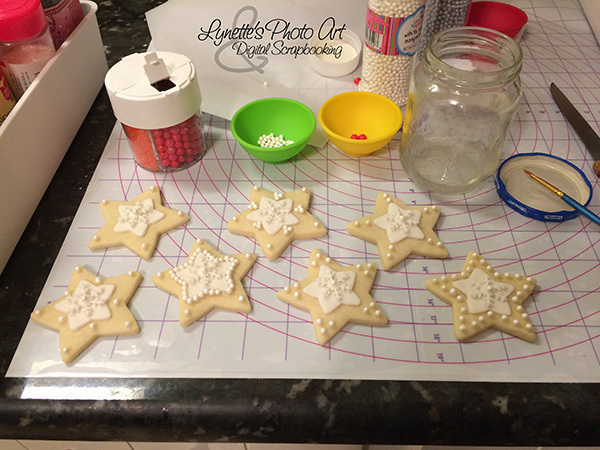 I'll leave you with these pretty cookies and tomorrow I'll share the chocolate stenciled cookies. I hope this was helpful! Merry Christmas, God bless you and yours and thanks for stopping by! I finally found wonderful chocolate and vanilla/almond sugar cookie recipes that do not expand when cooked!!! After years of frustration with my cutout and stamped cookies, finally SUCCESS and DELICIOUS results!!!! 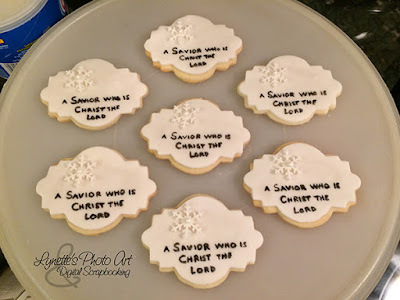 Here is the link to the sugar cookie recipe I used. This post is going to be way too long, so I'll break it into three posts instead. I'll start with these fun tiny cookie houses. I found this cutter at Home Goods for just $1.99! See? They don't expand! But they taste wonderful! 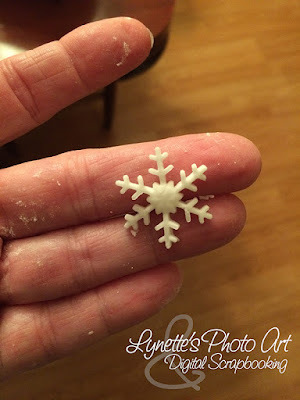 I had edible glue on hand from working with fondant and gum paste. 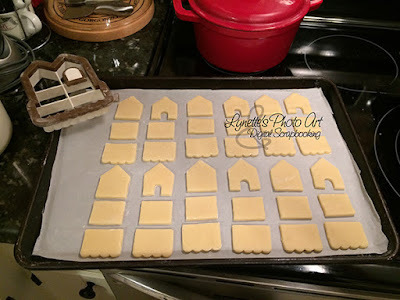 It dries invisible and I liked that look for these particular houses. It took several hours of being propped together before they were firm enough to attach the roofs. I let them sit overnight and they were completely secure. Royal icing is a faster "cement" and also dipping the edges into a hot candy mix (corn syrup), but I had this on hand and it worked great for me. 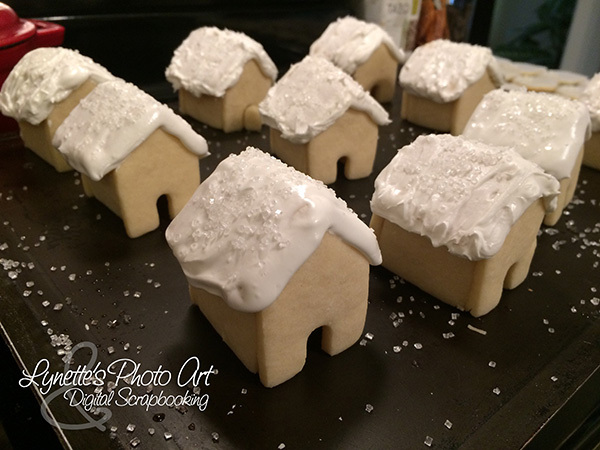 I covered the roofs with royal icing "snow" and dusted them with sanding sugar for sparkle. If your royal icing is too thick or is starting to seize up on you as you frost, just spray it with a fine mist of water from a spray bottle and the sharp edges will soften into lovely snow drifts. 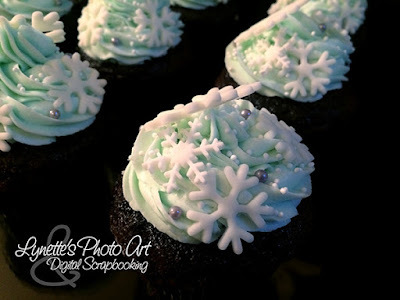 This also works if the icing is too set to hold sprinkled decorations. Just mist it and then sprinkle. They'll stay just fine. 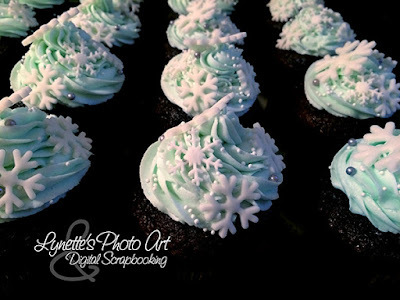 They were part of gift packages along with the same cookies topped with homemade marshmallow fondant and fondant snowflakes. The writing is food grade edible marker from Americolor. Tomorrow I'll share the other cookies I made with this sugar cookie recipe and the following day I'll share the chocolate stenciled ones. I hope this was helpful! Merry Christmas, God bless you and yours and thanks for stopping by! 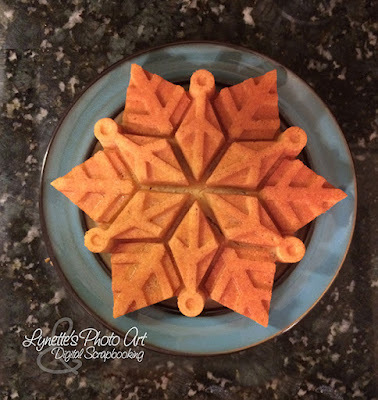 I finally found a Nordicware snowflake pan that I've wanted for ages at Home Goods for just $9.99! I've made seven or eight of them in the last week. They make such a pretty gift! The recipe inside the label is a mouthwatering almond/vanilla. 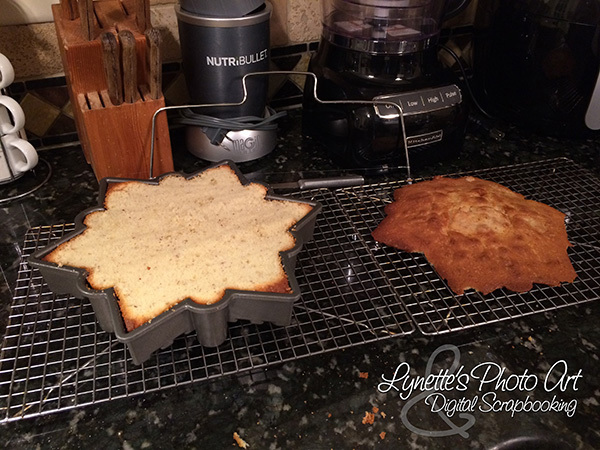 Each batch overfilled the pan. When I took them out of the oven, I cooled it 10 min. as directed. 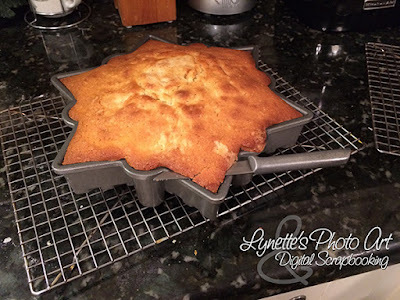 If you don't level the cake, when you lay it on a flat plate to serve it, it breaks. 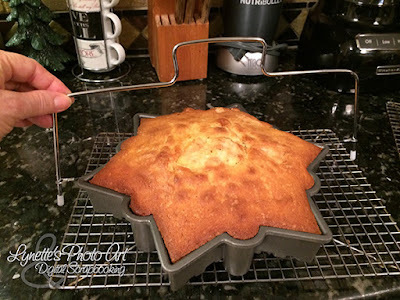 I have one of the wonderful wire tools from Home Goods that helps you level your cake neatly and easily. The outside was crispy and the wire couldn't get started. I laid a sharp knife along the top of one of the points to start a cut, and then the wire went in the cut. BTW, that was my Mother's knife. I grew up with it. Talk about when they made things with pride in workmanship and quality. Made to last! It was easy to lay the wire on top of both sides of the pan and pull toward myself till the cut was complete. A perfectly flat bottom and a generous top for me to set aside to later make into cake pops. I actually have them all frozen in a bag waiting till I can get to them. Waste not, want not! I have used Nordicware pans before and have read tons of tips for success. At this point I'm kind of clueless about my results with this pan. The first one turned out utterly perfect. Every other one after had some degree of carnage. I kept adjusting and trying things, but never got another perfect one. One came close, but most had some real issues. 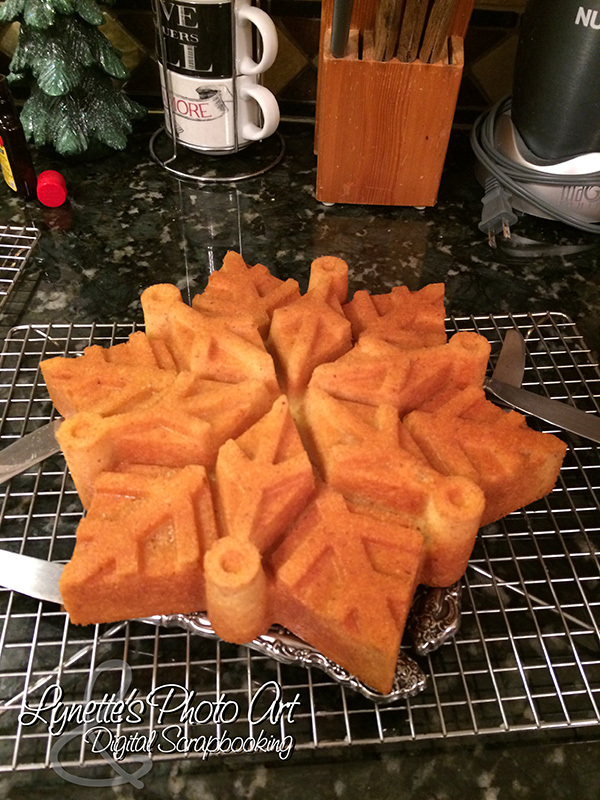 I'm really happy to tell you that the recipe it came with is a tremendously forgiving cake. I found that when part of the design didn't come out with the cake, I could gently remove that part from the pan and place it where it should have been. It had a degree of stickyness to it and as it cooled, usually the repair became one with the cake again! There were times where that didn't work. I actually cut pieces from the top I had removed and laid them in place. The light dusting of powdered sugar hid everything, and I do mean everything! 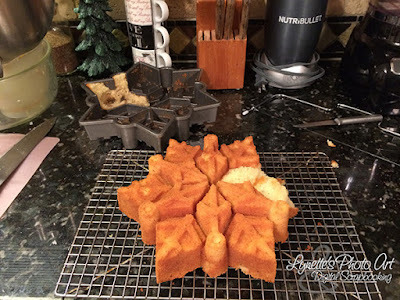 Even where the patched piece was much lighter in color than the surrounding cake, the sugar made it invisible! Marvelous! On the down side, cleaning this was a bugger! I immediately filled it with hot soapy water and didn't let it go any length of time till I cleaned it. The only thing that worked was a soft, small paint brush (new)! That and LOTS of time working under running water. Ugg! Was love that made me make so many! LOL it was kind of insult to injury that right after seeing each one failed, then I faced 45 minutes of cleaning just the pan so I could start all over! Ahhhh! Glad I'm done for a year! 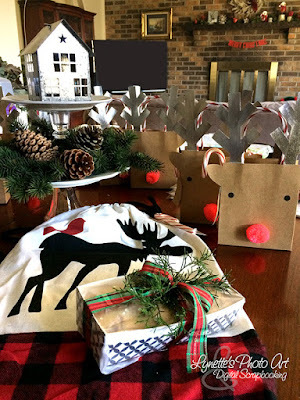 I hope you are having a wonderful time as the Christmas season approaches. I know it's a fact that our Lord Jesus Christ was not born at this time of year, but it IS when the world's thoughts turn to Him. He WAS born. He did willingly leave His place in heaven to come put on the flesh of man whom He created. He chose to live as us so that He could be the perfect High Priest for us, knowing what our lives are like and what temptations we face. He DID willingly go to His death on the cross to pay the debt for all the sins you and I would commit, to make a way for us to return to God the Father, forgiven! He DID raise from the dead on the third day and has ascended into heaven to sit at the right hand of God the Father. He DID send the Holy Spirit to comfort us and guide is into all things regarding Him and He IS coming again to take His children home to be with Him forever. He also IS going to judge the entire world, the quick and the dead, by whether we headed His loving call to accept Him as our Savior and be saved, or not. I do pray you will take time from the many things tugging at your attention and spend some time with Jesus this season. Make sure you are His and will be among those who rejoice at His return, and not among those who will meet their doom. God bless you all and merry Christmas! Snowflake Cupcakes! Looks like Frozen to me! I fell in love with these when I first saw them and have just been waiting for a chance to make them. 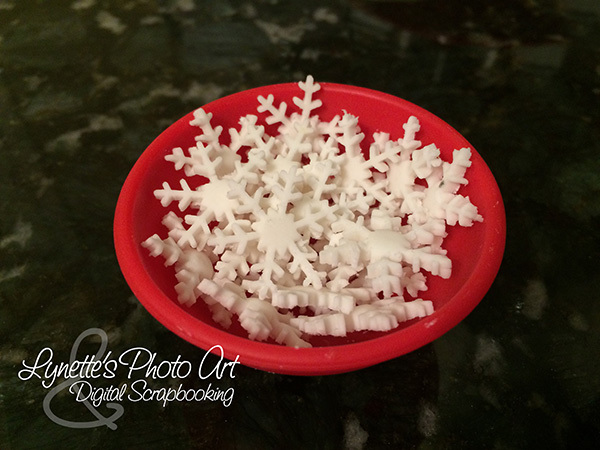 I made all the snowflakes from fondant and dried them so they'd be strong. Well, I have learned that it's best to make them from gum paste. Lots of these broke. Fortunately I made lots of extras. 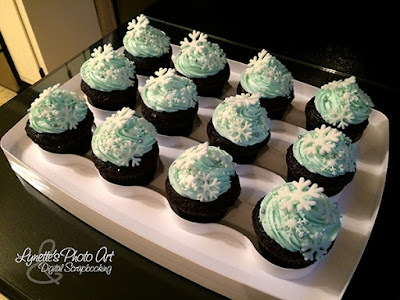 The cupcakes I originally saw only had one larger and one small snowflake per cupcake. Since I had LOTS, I used lots of them. I've also learned that if you want full cupcakes, a little dome on top, you only get 16-17 cupcakes from a box of cake mix. 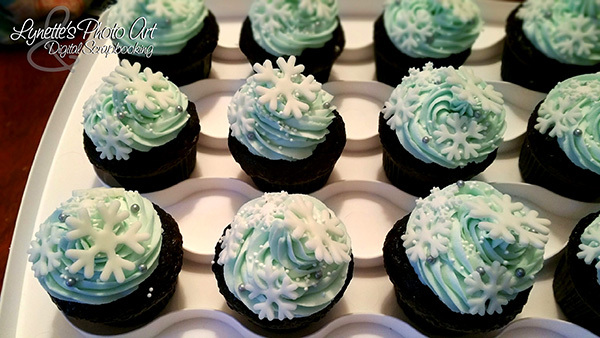 A batch of frosting that calls for 4 cups of sugar, when piping so much on each cupcake, only frosts 16-17 cupcakes. They are such light and pretty little things! I'll be very happy to give them out. Merry Christmas, God bless you and yours and thanks for stopping by!